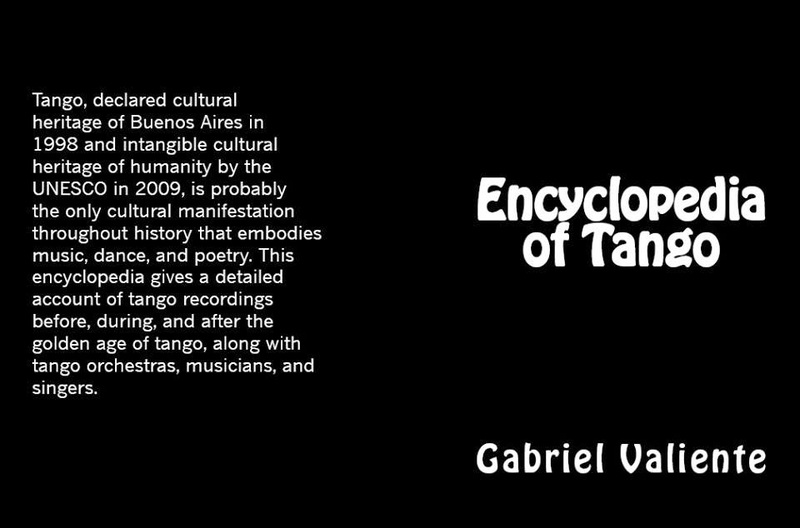 The recently released "Encyclopedia of Tango" by Gabriel Valiente is a huge book. Not only in size but in importance to many tango DJ's and collectors. The 800 page book compiles discographies of 148 orchestras with the essential information about singers and recording dates but also, which I find very interesting, who were the members of the orchestra for each time period and which companies the orchestra recorded for. The discographies have been compiled from various sources - rare unreleased or limited release discographies, different collections and publications as well as numerous online resources. Needless to say it is a very practical tool for every DJ and here is an example of how I put it to use. I looked for orchestras who recorded in the 1950's and had recorded instrumental tangos. The 1950's was ruled by D'Arienzo, Di Sarli, Troilo and Pugliese (in amount and quality of recordings), but I found many orchestras I had never heard of and I was fortunately able to find at least one song from most of them on Spotify. This playlist shows a few things. First, the great amount of orchestras (with great musicians) recording in the 50's. Second, how far sometimes many of the orchestras were from capturing the essence of tango for dancing (not claiming that all of them tried to) especially when comparing to best of D'Arienzo, Di Sarli and songs like Biagi's "El recodo". Still there are many highlights to this compilation and a lot of songs great to dance to or just listen to and appreciate the musicianship. To name a few of my favorites to listen to of these songs - Lorenzo Barbero, Raúl Kaplun, Juan Polito, Mario Demarco and Di Sarli's less known second version of "Bahia blanca". As I said, not all the orchestras were available on Spotify. One of them was Orquesta Tipica Dante Puricelli of which you can listen to "El pollo Ricardo" on YouTube. All comments on and the sharing of this playlist are appreciated.